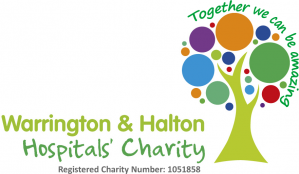 We provide an extensive vascular service at the hospitals with outpatient services provided at Warrington Hospital, Halton General Hospital and in Widnes. We also provide a range of inpatient surgical and treatment services. Vascular is the branch of medicine and surgery that look at arteries and veins. Our clinics look at all vascular related problems including varicose veins, blood vessel damage or blockages, and surgery relating to strokes. Routine vascular surgery is carried out at both our hospital sites for local patients. Widnes Healthcare Resource Centre - The hospital trust has set this community clinic up as a one-stop service. That means that as well as initial and follow up appointments, ultrasound is also available to help provide a diagnosis whilst at the clinic. Patients can have their scan at the centre before seeing the consultant who can review the results during the consultation. Your GP can refer you to the closest centre for your care. We have a team of vascular consultant surgeons who are supported by highly skilled specialist nurses. Diagnostics also plays a key role in vascular care and we work closely with our radiology team to provide vascular diagnostics. Vascular services in the region have changed recently with the move to set up a new vascular network that sees major and emergency vascular surgery cases for patients from the area performed at the Countess of Chester Hospital. However, the vast majority of patients needing routine vascular care and procedures still receive their care locally at Warrington and Halton Hospitals. GPs can refer directly to our services.